Welcome to Julie's website! Julie has faced some challenges in her early years, but with time, therapy, and lots of love she is doing quite well at 15 years old. If you'd like to learn more about Julie's early journey, try the links on the left. 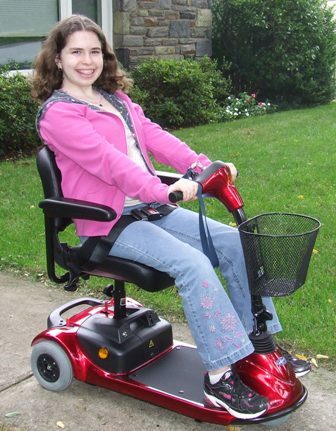 Julie, age 13, with her new scooter Scarlett!